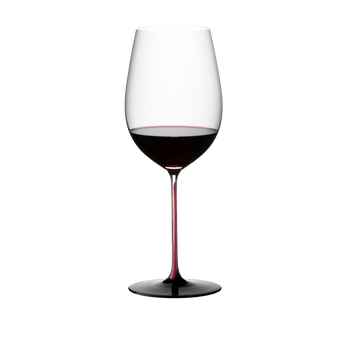 The unadorned handmade Montrachet glass of the beautiful glass collection Sommeliers Black Series is charactarised by a red stem and a black base. The size of the bowl allows space for the rich bouquet to develop ist superbly diverse range of aromas, while minimizing the risk of becoming over concentrated. Sommeliers Black Series can be used as a drinking vessel but is primary considered as an object of beauty gracing the homes of wine collectors. All RIEDEL glasses are dishwasher safe.